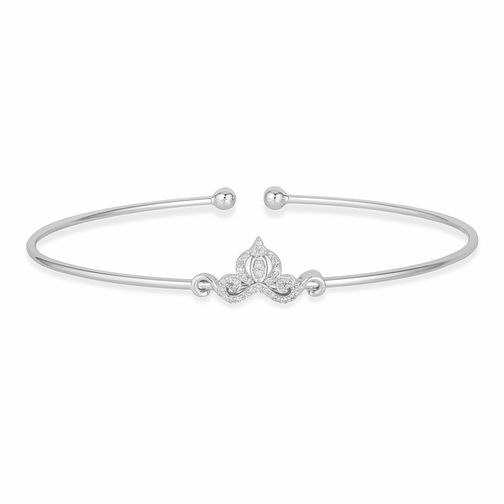 This wondrous diamond carriage bangle from the Enchanted Disney Fine Jewelry Collection inspired by Cinderella is a look every girl will want to wear. Crafted in sterling silver, the shimmering diamond-touched design is radiant with 1/10 carat of diamonds and a brilliant buffed luster. Enchanted Disney Fine Jewelry Diamond Cinderella Bangle is rated 5.0 out of 5 by 1. Rated 5 out of 5 by Anonymous from Carole Just loved it going on the disney cruise so i will wear it than.